Humans evolve in a way that transcends simple biological evolution. 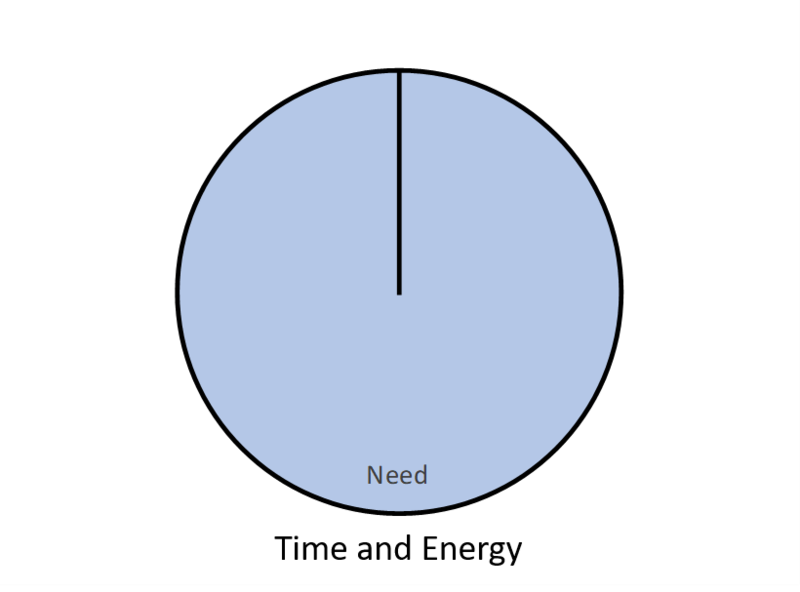 This view into evolution looks at how time and energy are utilized. You can view our base state, our animal state if you will, as spending 100% of our time and energy attempting to meet our survival needs. All of our time and energy is devoted to food, shelter, sleep and reproduction. This is good if you’re a bacterium, but you’ll likely always be a bacterium. Humans along with a several other higher level species have noticed that some ways of doing things are more efficient than other ways. These ways of doing things, these techniques, are technologies. While we tend to think of technologies as some form of tools, it also includes patterns of behavior. Ways of organizing that enhance our ability to collaborate have been particularly successful technologies for humans. 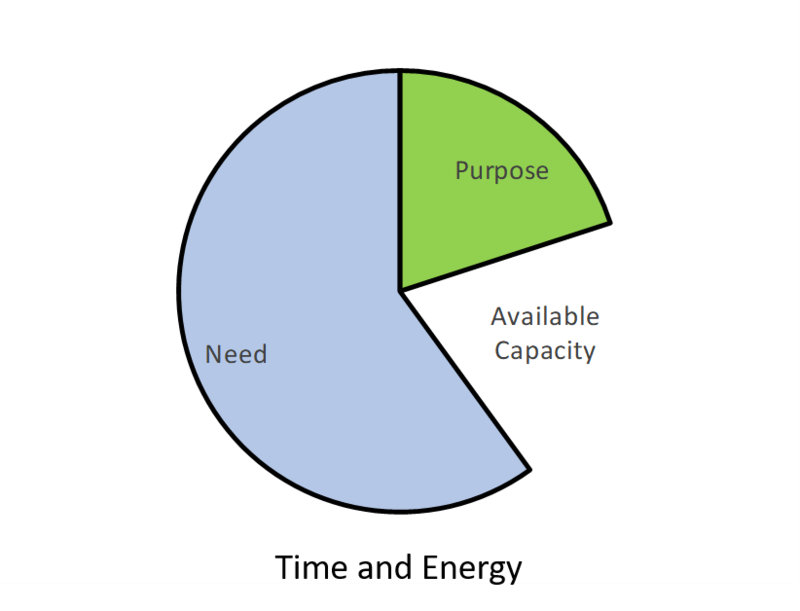 Available capacity is never unused. It’s always consumed by something else. Over the long haul, it drives evolution toward a form that has greater needs. This need back filling is likely what adaptation is. 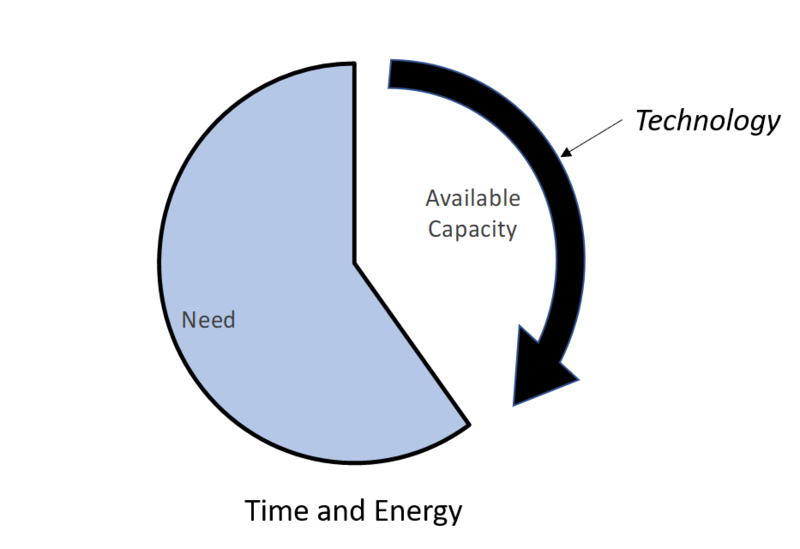 In the short term this available capacity is consumed by excess in some form. For example, excess food, shelter, sleep or reproduction1. In humans and many animals, the availability of excess is considered to be a reward. Humans and a few other species have another way of consuming this available capacity. Broadly speaking it can be labeled “purpose”. Purpose is a way of expending time and energy on things beyond ourselves. Note that the purpose associated with raising viable offspring is actually a part of reproduction and is not really “beyond ourselves”, but rather a fundamental way that our DNA pattern perpetuates itself. Purpose can express itself in several ways; enhancing a community, leaving a mark, or supporting an idea are examples. 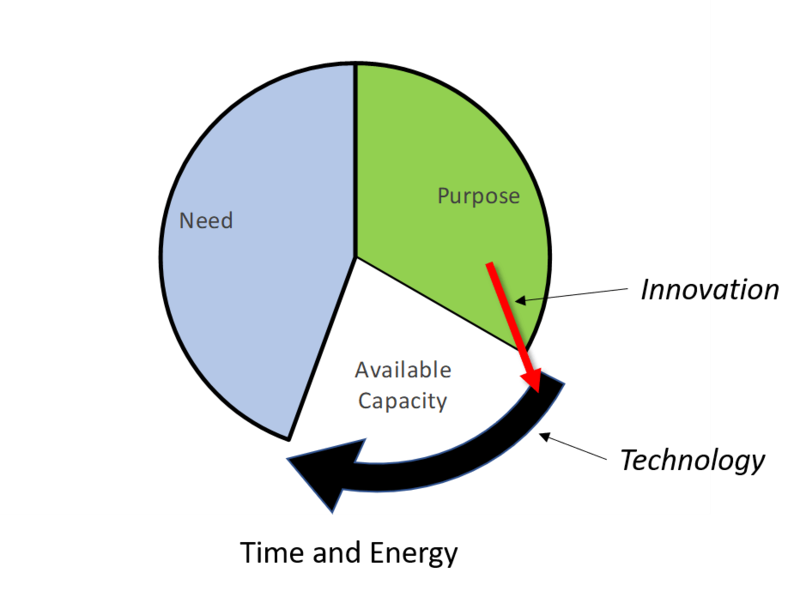 Humans are exceptionally viable because one of the ways we apply purpose is to develop, refine, and enhance technology. The characteristic seems to make us unique in the animal world. It creates a feedback loop that relatively rapidly (from an evolutionary point-of-view) increases our available capacity. 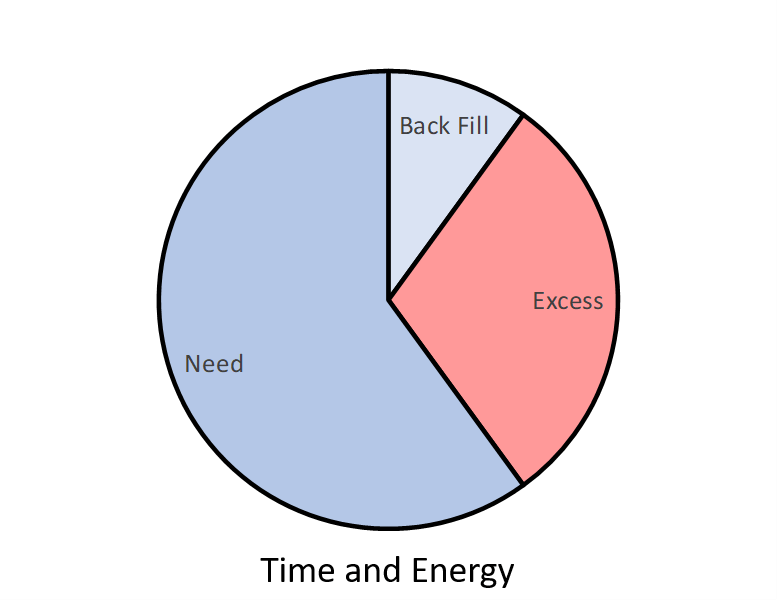 We, like most animals, are prone to consuming that available capacity with excess. I imagine we’re also slowly evolving into beings with greater needs. This model seems to account for a lot of human behavior in the large and contributes to answering many of the “why” questions. It may supply some insight into leadership and why some collaborative activities seem to thrive and others fail. Tagged Energy, Evolution, Need, Purpose, Technology, Time.